At Sandia Office Supply we understand that some offices have modern equipment while others make use of older technologies. Our printer and copier supply inventory has what your office needs to prolong your printer’s or copier’s life and keep your machines fully stocked. 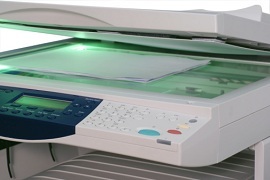 We also offer quality remanufactured cartridges by Elite Image. But our printer supply inventory isn’t limited to ink and toner. We carry all consumables you need to keep your office document production uninterrupted—paper, maintenance kits and replacement components. We even carry accessories for older label makers and dot matrix printers. Sandia Office Supply also has a full copier supply inventory. We carry copier toner cartridges from all major manufacturers and quality remanufactured copier toner cartridges from Elite Image. We have a number of paper products to prevent jams and achieve the copy quality you need. Our replacement components are from original manufacturers. However, we do recommend that you check whether a licensed service person needs to install them to maintain the manufacturer warranty. Sandia Office Supply is so much more than your source for printer supply and copier supply items. We carry everything from breakroom provisions to janitorial items to office furniture. Open an account with Sandia Office Supply and experience the benefits of working with a local Albuquerque office supply store. Call 505-341-4900 to order your copier toner cartridges from Sandia Office Supply of New Mexico today!